This is Dash of Princess over 2 coats of Orly You're Blusing. Gorgeous combo! 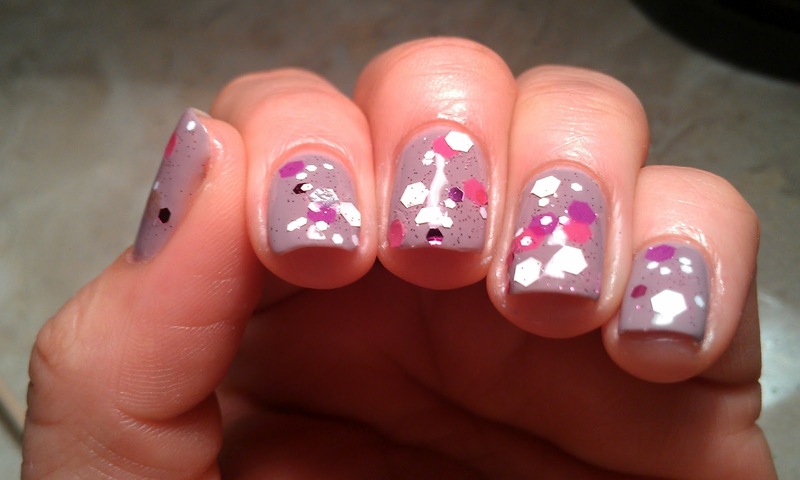 I really like this polish by Amy. Pretty combo!! You're Blushing is a lovely color on you! I love Dash of Princess! What a great name! oh yeah, that's super pretty! Beautiful glitter with a fantastic name. You're so lucky! omg so beautiful!! i love it! 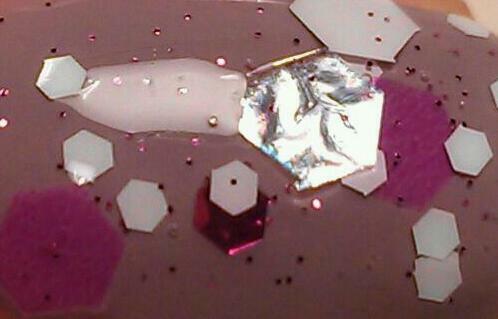 love the combo., and the gliter polish is beautiful. 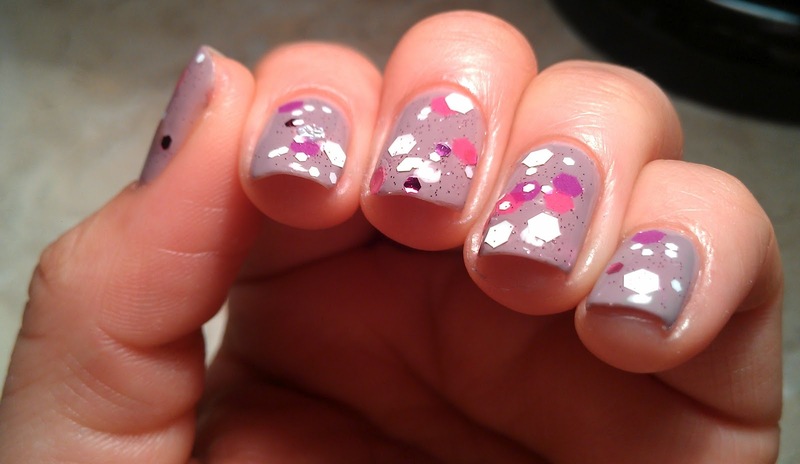 Wow, I'm not into big sized glitters but I do love the Orly you used underneath!! I love that base color! Not sure I can handle all at glitter! But I can see what people like about this! 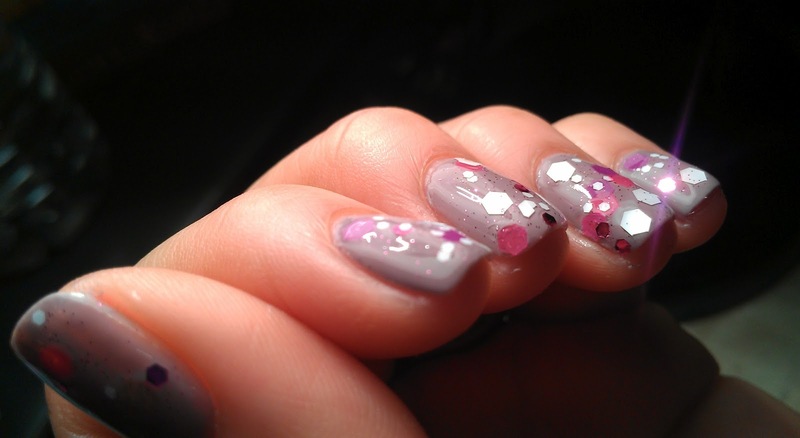 Looks like a bunch of glitters decided to throw a party on your nails. beautiful! Lol... Right? 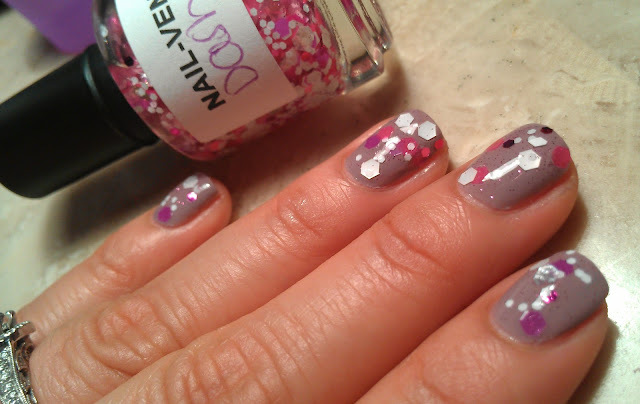 I just love the glitters! Pretty! I like that combo. Wow this is gorgeous! I love them both! 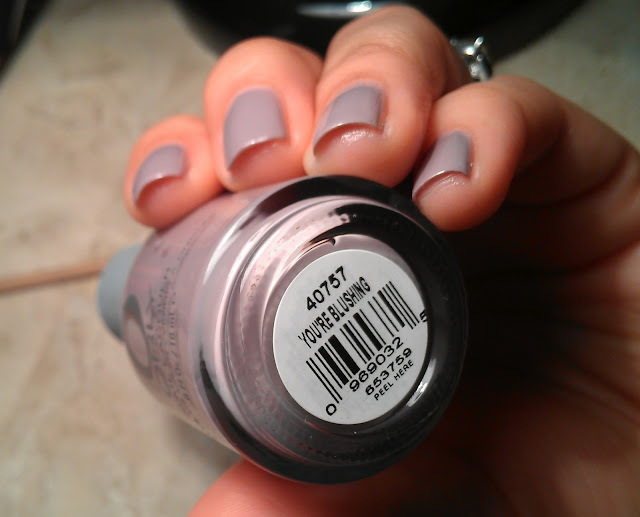 I don't own any Orly polishes but this one is beautiful! I love this! 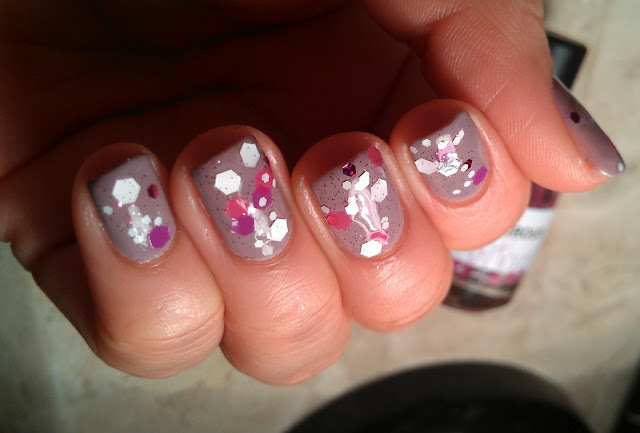 It looks gorgeous on top of that Orly, it kind of balances out the girliness. 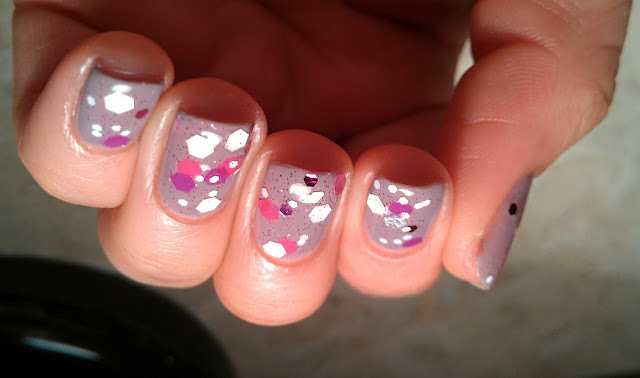 This is really cute, I like how each nail has at least one of the big glitters. I like the color you chose to layer it over too! 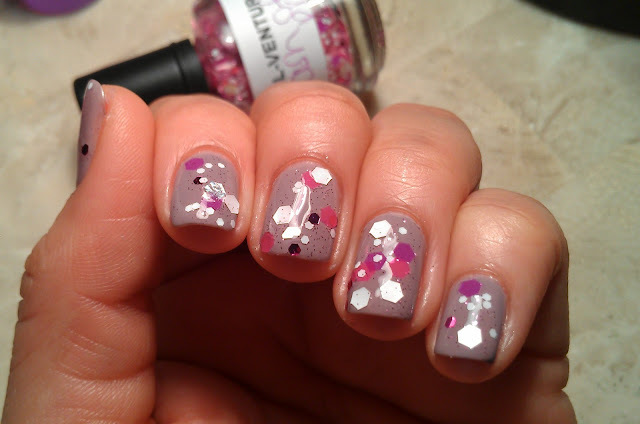 This mani is so pretty, that glitter is so amazing I just love it, the pink and purple pieces are so unique, Amy did such a great job! Hola! Hoy he descubierto tu blog y me ha gustado mucho así que ya tienes una nueva seguidora!! Espero que te pases por mi blog y si te gusta que mi sigas también! i love that taupe color! i might just have to try it out. ;) great blog girl! Ellie~ NO, no no no no OSEA! Good but for my free time i'am =D. That work of art! I like your blog, I just know. I invite you to meet mine;) xoxo! Wow! I love this combo! I am glad you are enjoying it!